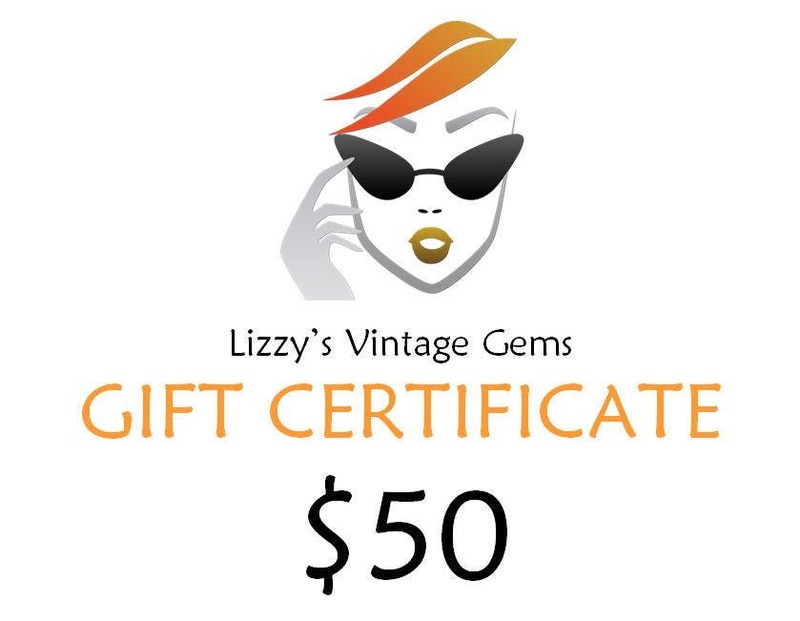 Digital Lizzy's Vintage Gems Gift Certificate 50.00 / Shop Gift Certificate / Buy Gift Certificate / Prepaid Gift Certificate - Your gift giving problems are over! Pre-purchase today, let us know your intended recipient's email address and your certificate will be sent immediately to that email with a covering note saying it's from you! Your recipient then goes to our Etsy shop or Pattern website (details are supplied on each certificate) and selects the items he/she would like to buy! It's as simple as that! Full details on how to use this wonderful gift are given in every email, including how to pay any balance should their purchase be over the amount of the certificate. And of course there's no postage charges! WOOHOO!